Task Force on National and Homeland Security » Saving lives by saving our grid. The Task Force on National and Homeland Security is concerned about the vulnerability of our electrical grid and other critical infrastructures and the danger that it poses to our children and families. Our members include citizens, engineers, field experts, and others, all united in our concern for the American people. The threat of the U.S. power grid crashing is a very real but preventable problem but the average American has no idea of the severity of vulnerability under which we live. Experts say our power grid can be destroyed and, when that happens, 70-90% of the U.S. population will die within the first year. Experts also say it is not a mere possibility but a near certainty that the grid will be hit and it could happen at any time. Six Congressional Blue Ribbon Commissions and several independent research organizations agree with those statements. There are relatively inexpensive solutions to address the vulnerabilities of our electric grid and other critical infrastructures. Our website seeks to educate the American people regarding what is facing us and what can be done. The Task Force on National and Homeland Security is an official Congressional Advisory Board recognized as such by the Ethics Committee under the name “The Task Force on National and Homeland Security” and as a Virginia based, 501(c)(3) nonprofit organization under the name “EMP Task Force on National and Homeland Security”. As such, Task Force on National and Homeland Security receives no Congressional funding and operates solely on donations. At the Task Force on National and Homeland Security, we believe the citizens and the local, state and national governments of the United States of America can come together to save lives by protecting our electric power and our critical infrastructures – including water & wastewater, communications, emergency services, transportation, healthcare & public health, food & agriculture, energy, banking & finance – against any and all threats, including cyber, physical attacks, extreme solar weather, and non-nuclear and nuclear electromagnetic pulse (EMP). Together, we can save lives and protect America by taking action at the personal, local, state and national levels. 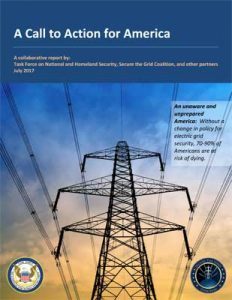 The Task Force on National and Homeland Security also provides leadership for and coordinates with other affiliated groups who are concerned with the loss of the U.S. power grid and other critical infrastructures from any and all threats. The Task Force on National and Homeland Security was formed in 2011, in part, to act as a surrogate for the Congressional EMP Commission during which time it was decommissioned. Dr. Pry is the Executive Director of Task Force on National and Homeland Security, a Congressional Advisory Board dedicated to achieving protection of the United States from electromagnetic pulse (EMP), cyber-attack, mass destruction terrorism and other threats to civilian critical infrastructures on an accelerated basis. In 2015, Dr. Pry testified in Denver on Colorado’s first attempt to pass EMP/GMD legislation. Dr. Pry also continues to serve on the Congressional EMP Commission, like his fellow commissioners, despite the current lack of Congressional funding. 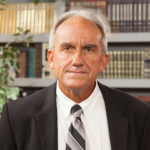 For more about Dr. Pry, click here. Jaxon is a distinguished leader in Electromagnetic Pulse (EMP) hardening and survivability. Jaxon is a woman owned, small business dedicated to achieving survivability goals for the United States and our Allies. Jaxon designs, builds, tests and maintains EMP hardened structures for government and commercial clients around the world. InfraGard is a partnership between the FBI and the private sector. It is an association of persons who represent businesses, academic institutions, state and local law enforcement agencies, and other participants dedicated to sharing information and intelligence to prevent hostile acts against the U.S. The purpose of the InfraGard National EMP (electromagnetic pulse) SIG (special interest group) is to address and mitigate the threat of a simultaneous nationwide collapse of infrastructure from any hazard such as manmade or natural EMP. 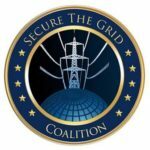 The Secure the Grid Coalition is an ad hoc group of policy, energy, and national security experts, legislators, and industry insiders who are dedicated to strengthening the resiliency of America’s electrical grid. 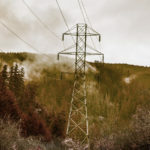 The Coalition aims to raise awareness about the national and international threat of grid vulnerability, and encourage the steps needed to neutralize it. It operates under the direction of the Center for Security Policy.